Society members receive Archives quarterly (free of charge). 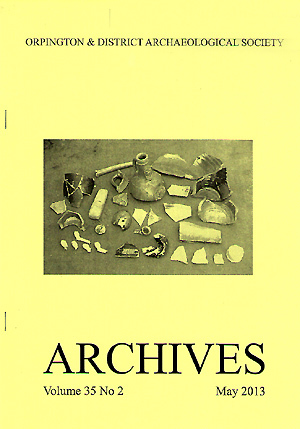 If you are interested in joining ODAS, come to a meeting and ask for a free sample copy of Archives. The society originally produced a newsletter from 1974 to 1978. This became the more formal Archives we have today which combines news items with more serious articles. Below are are a number of scanned documents which provide an index for the original Newsletter and subsequent volumes of Archives. Click on the links below to see the documents in Adobe PDF format.